“How to make a great workplace?” That’s the big question isn’t it? But the real answers to this question must come from the people who make the organisation go around. Louise starts the line of enquiry with – who else? – the head of People and Culture at Chorus. Lorelle Trotter is the manager of People and Culture at Chorus. She’s been with the company for nearly two years, and has made giant strides towards creating an ideal workplace in that time. “People are in this sector because they want to make a difference,” Lorelle says. Lorelle (Left) and Louise (Right) talking people and culture. How people work together plays a massive role in determining how much they like their jobs, and how much meaning they can find for themselves and others. Have those difficult conversations – don’t avoid them! The service industry has a turnover rate of around 25%. As we all know, this presents a challenge in creating a cohesive workplace. To tackle this obstacle Lorelle focuses on the recruitment process. Bring the right people into an organisation for the right reasons and they’ll stay. An organisation works well when people take a job because they want to fulfill a greater purpose. And it creates more joy and value for customers and employees, too. In true Chorus style, Louise doesn’t stop at asking the manager of People and Culture what’s going on under the hood. She goes to the source – the employees and volunteers who make Chorus run. 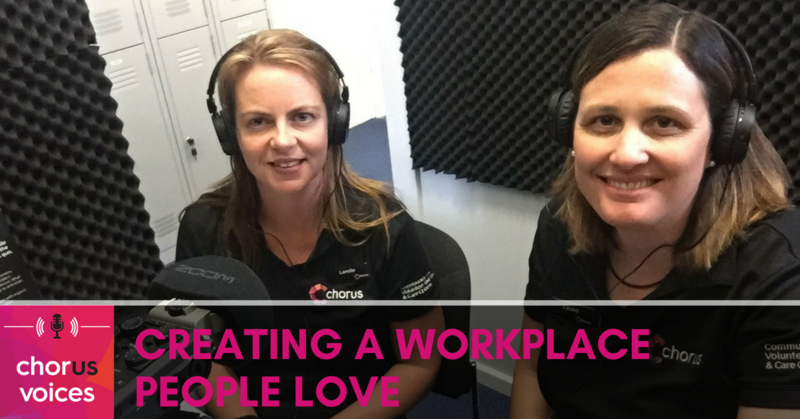 Creating an awesome workplace isn’t all rainbows and gumdrops! It involves a lot of effort, a lot of honesty, and often a lot of difficult conversations. Dan and Louise explore how they dig deep and tackle the tougher bits of the task. It’s about conversations… and not every conversation is nice or easy. Those guiding lights lead her in the right direction every time. 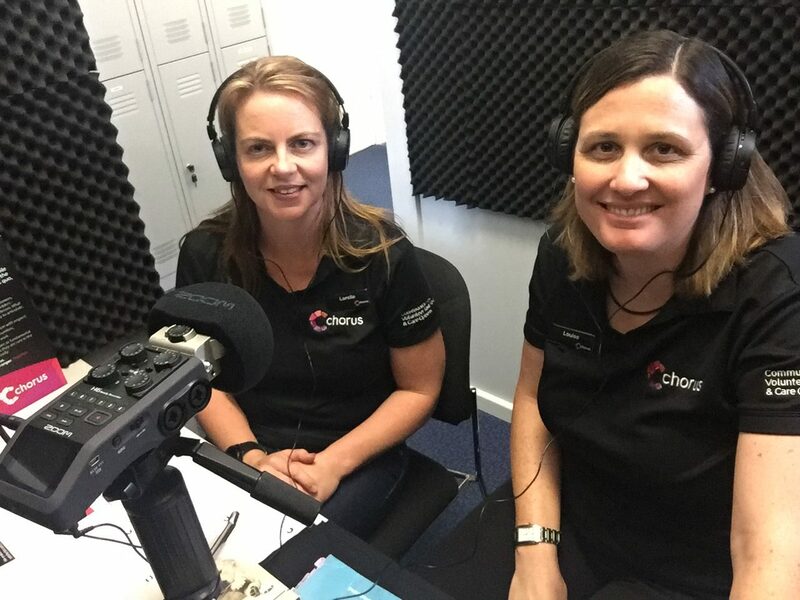 Coming full circle back to our hosts, and ending on a happy note, we take a look at what our hosts Dan and Louise love about Chorus.